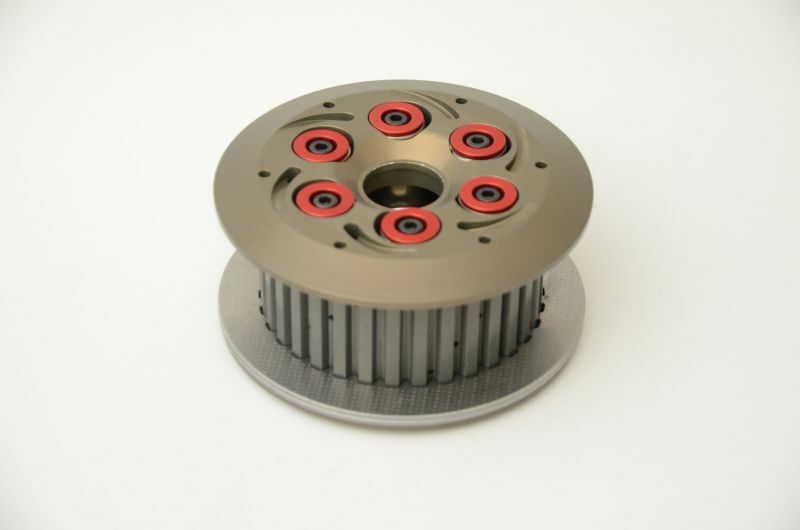 Complete new slipper clutch for Panigale, optimalized for electronic engine brake. To compare OEM slipper/gripper clutch offers this clutch better slipping effect for more smooth, faster and safe ride especially on circuit, and due to absence of gripper effect, it response much more acurate to rider´s work with clutch lever. The kit includes complete slipper clutch with all fixing parts, set of clutch springs , one steel plate to replace last steel plate in OEM clutch, and sets of spring retainers for adjusting engine backtorque. All other clutch plates are same as STD. Produced from hard anodized 7075 with steel spring posts.